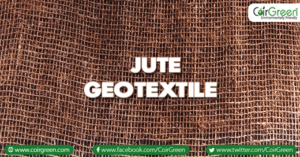 Coir pots are made out of the fibrous part that lies between the coconut and the husk. These pots are completely biodegradable, and are a brilliant medium for growing as plants can easily be transplanted into the pot. Coco -coir pots are exceptionally permeable to water, air, and the roots of the plants. They will break down naturally in the soil and this minimises the amount of root disturbance during the time of planting. If you are looking to plant and enjoy faster cultivation, an excellent and robust root system, and re-establishment without the transplanting shock, coir pots are an ideal choice for you. They also have other benefits. Below are some of the reasons to choose coir pots for your next cultivation session. Even though coir has a great capacity to hold water, it does not mean that your plants will die from too much water. Coir also offers excellent drainage and aeration, and unlike peat or moss, coir is 100% biodegradable. On average, a coconut tree will produce about 150 coconuts in a year, and this makes coir a sustainable product that does not harm the environment. It has been stated that peat takes about 25 years to renew while coir is a constant product. The texture of coir pots allows for water and air to easily penetrate through and helps the roots to breathe. Therefore, there is no concussion of roots present. 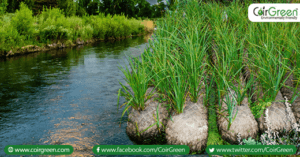 Coir will also help in the diffusion of water and air, which will further strengthen the roots and you will be able to see healthy roots penetrating the pots without any hindrance. 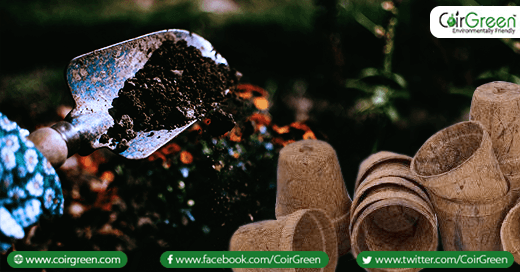 All you need to do is to dig up enough earth to plant the entire coir pot into the ground. You can also re-pot the plant into a bigger container without having to work your way through tangled and coiled roots that can send the plant into shock if they are damaged. The pot itself will automatically disintegrate over time, enriching the soil as it does so. The pH value of coir is neutral and always falls between 5.2 and 6.8. Therefore, coir pots are ready for use for many plant varieties without the need to add lime. In terms of nutrition, coir pots are rich in potassium, iron, manganese, copper and zinc, which means that they can give your plants the right balance of nutrients. These are a handful of the benefits that you can enjoy with using coir pots for your cultivation. You will be able to grow healthier and more resilient plants that grow relatively faster and bring you better yield.